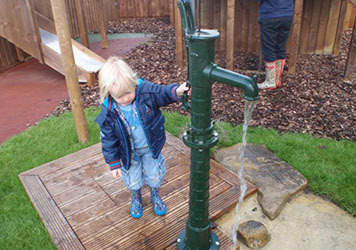 Lilliputs benefits from extensive outdoor play areas and we believe that it is very important for children to be outdoors as much as possible. 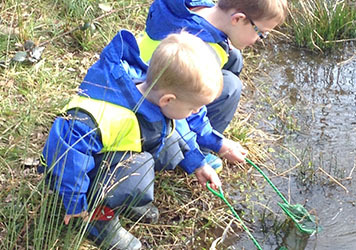 All children have the right to experience and enjoy the essential and special nature of being outdoors and to experience the seasons first hand. 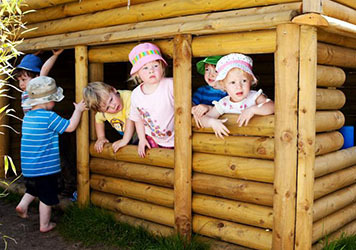 Children have free access to a stimulating outdoor environment for learning through play and real experiences. 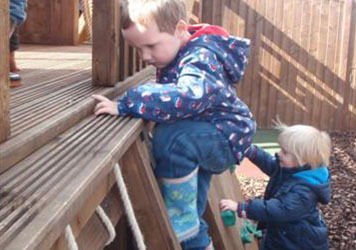 Children are encouraged to play outdoors whatever the weather. 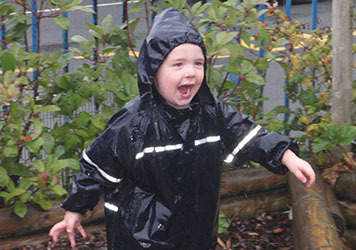 To support this children and staff are supplied with waterproof clothing if they choose to play outside. 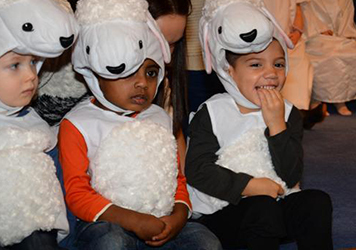 Care is taken during the summer months to ensure children are protected from the sun with hats and regular applications of suncream, similarly during cold weather we ensure children are wrapped up warm with coats, hats and gloves. 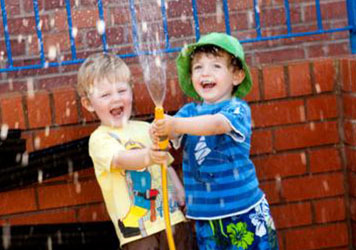 We have soft surface play areas and other areas designated for gardening (growing their own vegetables and fruit), den making, water play, games, climbing and quiet sitting. 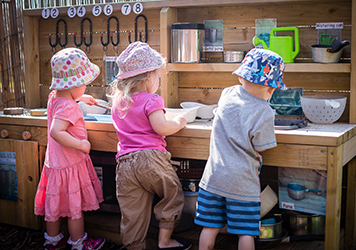 Children are encouraged to investigate, to use their senses, to ask questions, make discoveries and learn to take some manageable risks within a framework of security and safety. 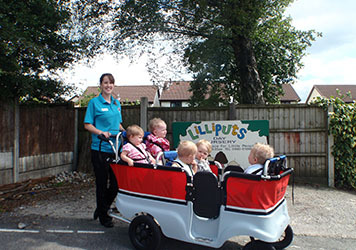 Lilliputs is fortunate in that we are ideally situated within walking distance to all local amenities. 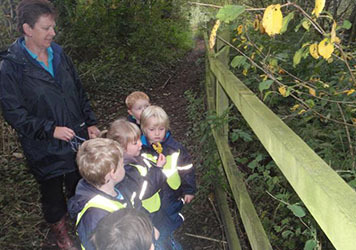 This enables staff to take children for regular walks to the park, shops and library. 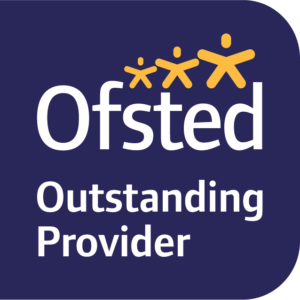 The safety of the children is our priority, therefore, each route is carefully planned and each member of staff is assigned to certain children and each child is provided with a wrist strap or harness as an added safety measure. 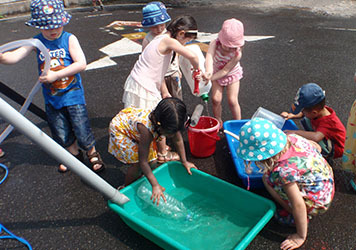 While outdoors, all staff aim to make full use of the environment. 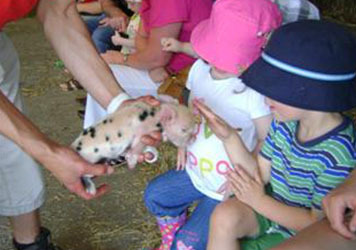 The children are encouraged to respect their surroundings and to treat wildlife with sensitivity. 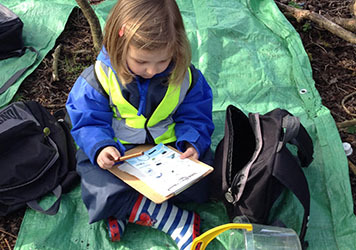 A variety of birds, insects, plants and flowers can be studied within nursery grounds. 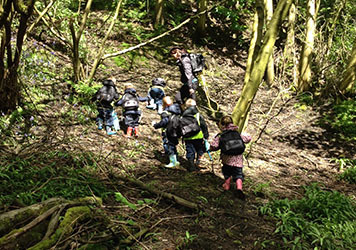 The children love to go down to our local forest area and explore the woodlands. 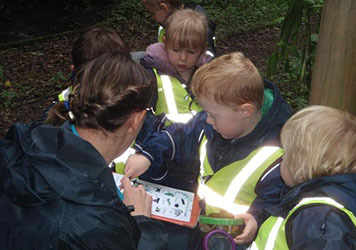 We have fun bug hunts, treasure hunts and den building activities. 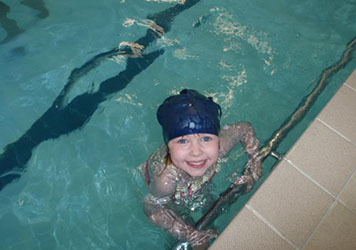 Our pre- school children are offered the opportunity to have a swimming session with Swim Start. 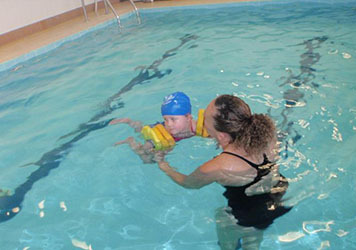 A qualified swimming instructor makes learning to swim a fun and enjoyable experience. 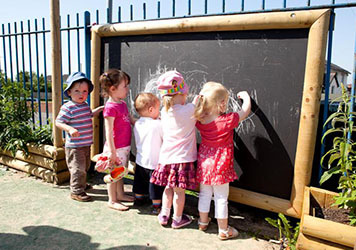 Extra fees are charged for this and those children who attend nursery on the day of the lessons are given priority. The purpose of each session is to increase the child’s confidence in the water and to teach some basic swimming skills. 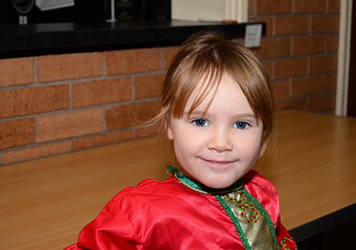 There is the facility for children to gain preliminary badges when they are ready, but the emphasis is on enjoyment and confidence building. 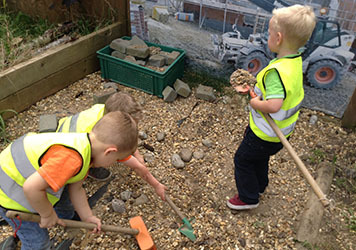 Through using the outdoor environment we believe that children are encouraged and inspired to grow in confidence, independence and self-esteem through mastery of small achievable tasks. 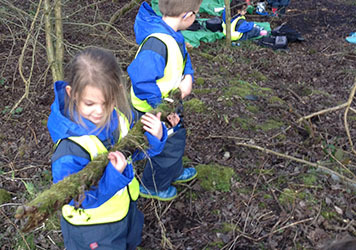 The children take part in a six week block of Forest school skills in the woodland close to the nursery. We focus on a variety of different activities. 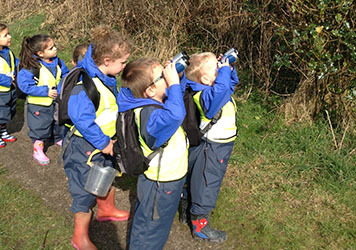 And many more outdoor learning activities. 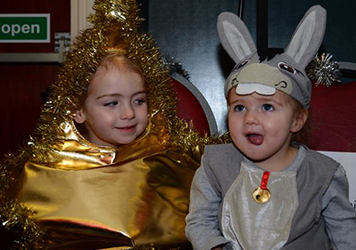 Christmas is a wonderful time of year especially when you are surrounded by children. 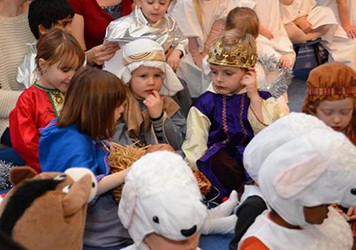 Our nativity is a special event where staff and children work together to celebrate the meaning of Christmas. 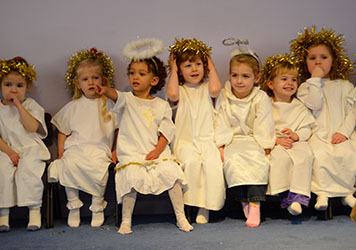 The children always look forward to learning the words to new songs and practicing their part ready for the day that we invite parents along to share our nativity performance.